Highlighting your nautical wedding style is a breeze with these striped envelope liners, which are beautifully personalized with your names. Design and wording are printed in your choice of colors and font. No assembly required. Liners will appear inside the inner envelopes included with your Nautical Style wedding invitations. Personalization Options: Stripes and your names are printed in your choice of colors and fonts. Assembly: No assembly required. 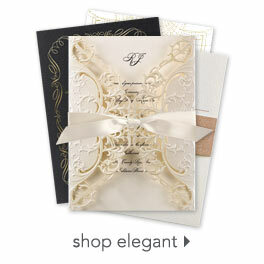 Liners will appear inside the envelopes included with your Nautical Style wedding invitations.